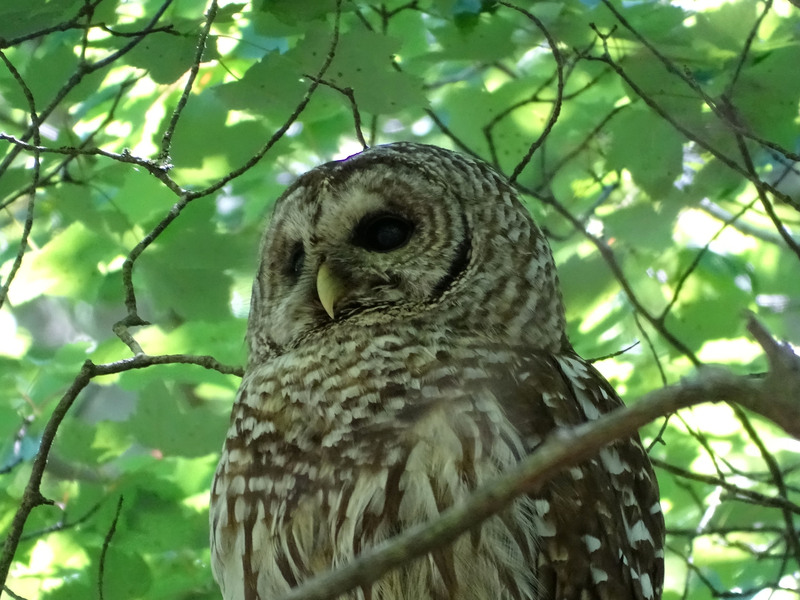 “Barred Owl: Uncommon resident. Breeds. Our most common owl. Occurs in woods of old growth and is seldom seen elsewhere…nest: usually 4-12 m up in a hollow hardwood tree in mixed hard and soft growth…” – Birds of Nova Scotia 3rd ed Robie Tufts 1986. Recorded as nesting in Williams Lake Backlands by Fulton Lavender. Viewed today below “The Gully”, barely 1 km from my residence in peninsular Halifax.